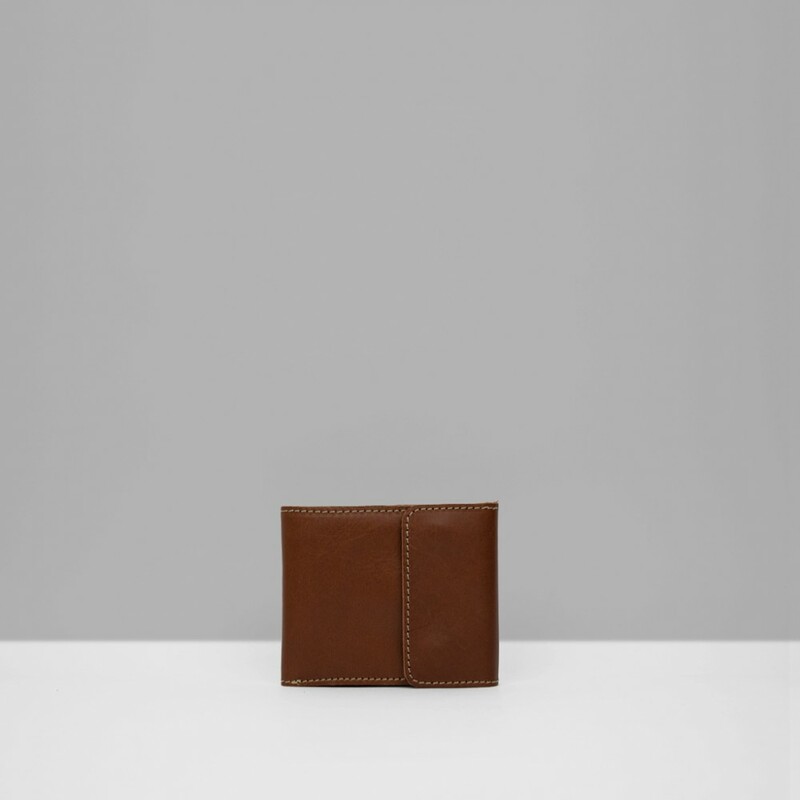 Veg Tanned Leather Wallet with double press-stud closure. One cash pocket, four card slots, an inner snap closure pocket for coins and a hidden pocket behind the cash division. Dust bag included.